Dr. Thomas Vecchione is a leading cosmetic surgeon providing patients throughout the San Diego region with the most advanced care for an array of aesthetic issues, including conditions affecting the face and the body. His practice, located in Bankers Hill, San Deigo, CA 92103, relies on state-of-the-art equipment and techniques to achieve optimal results in every patient. As a skilled surgeon, he specializes in cutting-edge treatments and approaches, including eyelid surgery, rhinoplasty, otoplasty, facelift and neck surgery, tummy tuck, breast augmentation and breast reduction, breast lift, liposculpture and recontouring. In addition to surgical procedures, his practice provides minimally-invasive cosmetic treatments, including cosmetic fillers, Botox®, microdermabrasion, chemical peels and resurfacing treatments. Dr. Vecchione has been practicing medicine for more than three decades, and he has extensive experience in understanding each patient's unique goals and needs and interpreting them skillfully using the safest, most effective, most appropriate techniques. He is committed to helping patients understand all their treatment possibilities so they can achieve their objectives while maintaining realistic expectations for greater levels of post-treatment satisfaction. Dr. Vecchione earned his medical degree at Ohio State University School of Medicine, followed by a residency in surgery at the USC Medical Center in Los Angeles, a residency in plastic surgery at Harvard University's Brigham & Women's Hospital, and a fellowship in head and neck surgery at Western Pennsylvania Hospital. He has been certified by the American Board of Plastic Reconstructive Surgeons, the American Society for Aesthetic and Plastic Surgery, the American Association of Plastic Surgeons, the American College of Surgeons, the American Medical Association, the California Medical Association, the California Society of Plastic Surgeons, the San Diego County Medical Society, the San Diego International Society of Plastic Surgeons and the San Diego Surgical Society. In addition to caring for patients at his private practice, Dr. Vecchione maintains hospital affiliations with Scripps Mercy San Diego, Sharp Memorial Hospital and Rady Children's Hospital, where he served as chief of staff and chief of plastic surgery. He is also a clinical associate professor of surgery at the University of California, San Diego, and has served as director and surgical coordinator of M.O.S.T., The Mercy Outreach Surgical Team. His practice welcomes new patients and accepts most major insurance plans. Get to know your plastic surgeon. 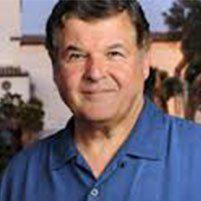 Dr. Vecchione opened his practice in San Diego, California in 1974. he is on the medical staff of Scripps Mercy San Diego, Sharp Memorial Hospital, and Rady Children's Hospital. He is past Chief of Staff at Rady Chidren's Hospital. He is past Chief of Plastic Surgery at Scripps Mercy Hospital San Diego, Sharp Memorial Hospital and Rady Children's Hospital. Dr. Vecchione is a Clinical Associate Professor of Surgery at the University of California, San Diego. He has served as president of the downtown Rotary Club #33 and director and surgical coordinator of M.O.S.T., The Mercy Outreach Surgical Team. We treat many types of traumatic injuries. Traumatic injuries can leave a patient with both physical and emotional scars. Dr. Vecchione works in conjunction with Scripps Mercy San Diego, Sharp Memorial Hospital, and Rady Children's Hospital emergency facilities, specializing in hand trauma, dog bites, and scar revision. Post-surgical follow up appointments will take place in the comfort of his private practice. Dr. Vecchione and his team regularly perform pediatric plastic surgery for indigent children in the U.S. and Mexico with M.O.S.T., the Mercy Outreach Surgical Team and other countries throughout the world with Operation of Hope. Congenital deformities negatively impact the lives of so many young children. Dr. Vecchione is dedicated to improving the quality of life for children born with deformities such as cleft lips, cleft palates, and webbing. Not only does this affect their appearance, but it improves their self confidence, removes negative self image, and can greatly impact the opportunities they may encounter throughout their lives. Dr. Vecchione and Team crafts injured by land mine man's jaw out of leg bone, allowing him to speak again. That sense of joy came out recently during a checkup with Dr. Thomas Vecchione, the Hillcrest plastic surgeon who is part of the team responsible for this young man's transformation. He said the simple joy of being able to make his thoughts and feelings understood is just so … fun. Those areas were damaged by a land mine detonator blast in 2008. The explosion took his teeth and mostof his lower jawbone. He struggled to form words or eat even the softest foods. Vecchione, the plastic surgeon, said the case was in the top 10 of his career in terms of overall complexity. Chao agreed. Dr. Vecchione was thrilled to be a part of the team who helped to repair Blessing Makwera's face after a landmine accident in Zimbabwe. Please click on the video below to find out more about Blessing's amazing journey.